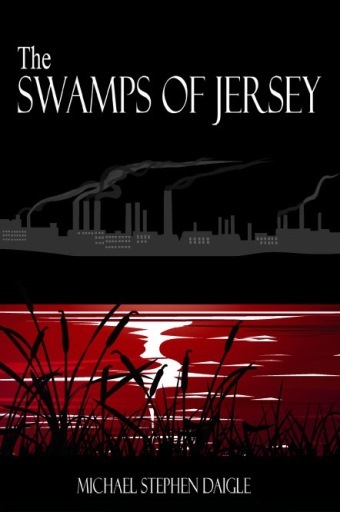 An underlying theme in “The Swamps of Jersey” is political corruption. Here, Detective Frank Nagler and reporter Jimmy Dawson examine the topic. “You know, the Attorney General Sixty, the elected officials they caught in that bribery sting.” Dawson held up the page of the paper with a list of those officials who had accepted a sentence, about half of the sixty. Some got thirty days in jail, some half-a-year. All were fined and made to agree they would never seek public office again. Some of them were just working guys and probably lost their jobs, Dawson guessed, but a lot of them were lawyers and accountants, which meant, conviction or not, they’d never be out of work. “Think about it. You’re sitting at your mayor desk one day, all important and such, trying to figure out how to get your brother a job at the road department, and in walks this stranger who offers you ten grand to throw a planning board vote his way. And you say yes! You don’t even question who the guy is because he’s got a reference from one of the councilmen, who also took the cash, and he got a reference from some local banker. Don’t you ever wonder about that?” …. “But what’s it say when we idolize a guy like Tony Soprano who thrives on murder, extortion and drug dealing?” Nagler asked. “Maybe we like his initiative and go-get-‘em attitude.” Dawson tried to lighten the mood. Nagler put down his coffee cup.